According to Forbes magazine, 48 percent of marketers plan to use video to build their business this year. If you want to be one of those – and need an option besides shooting video with your iPhone or hiring an expensive production company – we can help. Our Ready-to-Go Video Studio delivers excellent, professionally produced video content at affordable rates. actual video filmed on our white screen. actual client video filmed on our green screen. You can take the raw footage and edit it yourself. Or let us do it for you – we guarantee a beautiful, professional product. 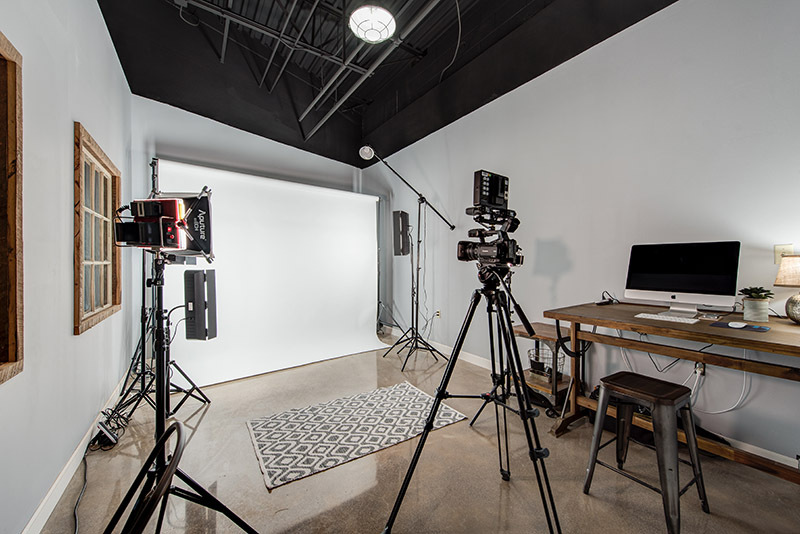 In addition to our Ready-to-Go Video Studio, New Frame Creative offers on-site video production for projects that require shots outside of the studio environment. We also offer aerial drone videography and photography. Rates start at $85 an hour ($75 for nonprofits) and half-day and full-day rates are also available. Since every project is unique, editing time can vary greatly depending on desired complexity of the finished product. Once we learn a little more about your project, we’ll be able to provide an accurate estimate.